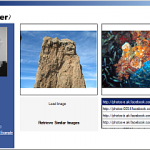 This entry was posted in General, Lire, OpenSource on December 18, 2008 by Mathias Lux. 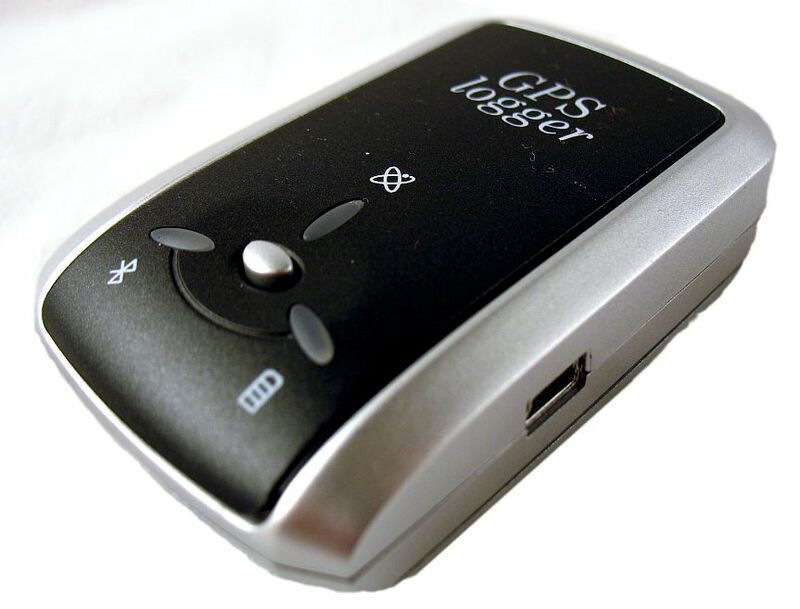 Recently I bought the iBlue 747 GPS Logger after reading the review on Cool Tools. While most GPS devices sold here are based on the SiRF star III chip, the 747 is based on the MTK chipset. This allows the user to fill the internal memory easily before you run out of power instead of the other way round. For more detailed information I found a extensive review on gpspassion.com. From my point of view the device is good enough. Memory holds up to 70.ooo waypoints and there is enough power for a long hike, walk or bike tour. The software however is somewhat limited. 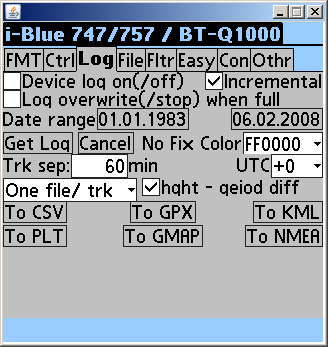 I recommend to use the Java open source software BT747 for downloading the track logs and allows to convert them to Google Earth files, Google Map HTMLs (for sending by email), GPX or NMEA. This tool is rather complicated to use but works fine as soon as you managed to let it do what you want. One will also need the driver, but all instructions are given in the howto of the bt747 software. Geo tagging of photos also works fine, there are several tools available. I’ve tested the GPS Log Analyzer and GeoSetter, which both work fine. The locr tool seems to produce GPS Exif metadata that can’t be read from Google Picasa. Flickr recognizes the geo tags also, but you have to activate the import of those in your privacy settings. This entry was posted in General, Imaging, Multimedia, OpenSource, Software and tagged gps iblue geotag exif tool on February 6, 2008 by Mathias Lux. With the v4 version I decided to put up a project at Google Code for the whole thing as I needed Subversion support and some way to handle the downloads. You’ll find all information on the project there. This entry was posted in Dev, Imaging, Java, OpenSource, Release, Software on October 12, 2007 by Mathias Lux. This entry was posted in General, Imaging, Java, OpenSource, Release, Software on October 11, 2007 by Mathias Lux. Following a link in Ramesh Jain’s blog I read the post “OLPC is the PC you can’t ever criticize” from George Ou. He discusses the inability to criticize the activities around the “One Laptop Per Child” initiative and points out why one cannot criticize it. He also points out why critics should be allowed 😀 My recommendation: Read! This entry was posted in Computer Networks, General, OpenSource on October 10, 2007 by Mathias Lux.